The eye of Hurricane Florence is nearly over land, as tropical-storm-force winds extending almost 200 miles are pounding the Carolina coastline. BREAKING: The director of Craven County, NC on the coast just told us there were people trapped on roofs, and stuck inside their vehicles. The situation is dire. 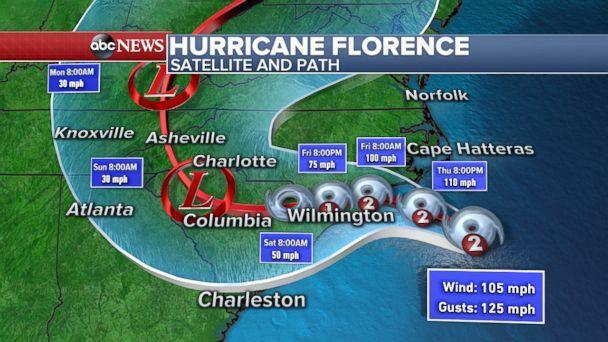 -- Hurricane-force winds are battering portions of the North Carolina coast, as water levels rise along the coastline and the threat of tornadoes increases further inland. 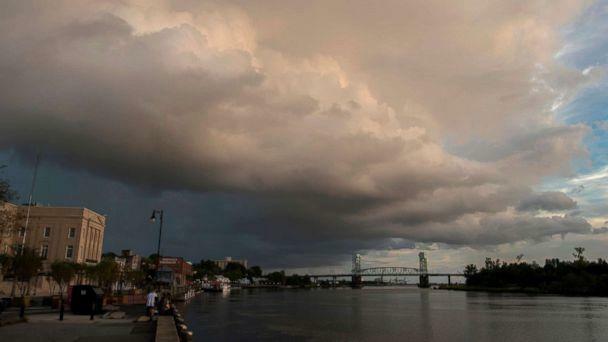 -- The storm was moving west-northwest at 6 mph with wind speeds of about 90 mph, about 30 miles east of Wilmington, around 4:30 a.m. local time. -- High winds and floodwaters could knock power out for several days, if not longer, officials said. Almost 200,000 customers already were without power in North Carolina Thursday evening -- and that number is likely to rise. "We're on vacation, and we have a week off, and we came down from northern Virginia to have fun," she told ABC News. "Play in the water, enjoy the sunshine. Until we can't. See what happens." She continued: "Of course we're worried. But we're watching the news every day. We're keeping track of it, seeing where it's going to hit and what category it is. And if we feel the need to leave we'll go. 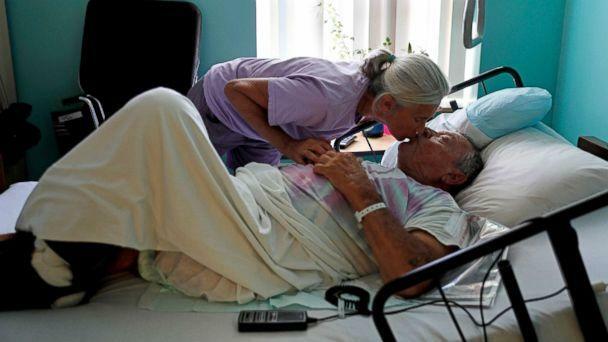 But we're going to stay as long as we can." On Thursday night, city officials in Jacksonville, North Carolina, posted photos of a toppled gas pump and a downed tree after wind gusts exceeded 80 mph, warning residents to stay indoors as the hurricane passes. Downed power lines have also been reported in the area. In Awendaw, South Carolina, Chris Johnson said he's staying behind to watch his house while his wife, Michele, is evacuating. "I'm not sure if I could go out in the middle of the storm on a 12-foot ladder to replace a window, but I could be on the inside and try to do something ... or if the refrigerator goes out ... I can take care of all of that," Chris Johnson told ABC News. Michele Johnson said she's worried about her husband, but "I think he's OK with me going, so I don't stress him out more. It's probably good for our marriage." Added Chris: "I think with what we know right now [with the storm track] this is the best decision for us. I think it's a great compromise. I'm glad we both came to the decision ourselves. Hopefully, the cell phone tower, which is not too far away, will still work. We can keep in touch." 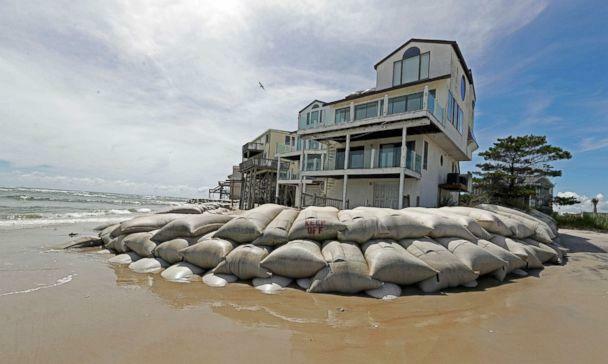 The South Carolina county encompassing Myrtle Beach has imposed a 7 p.m. to 7 a.m. curfew. 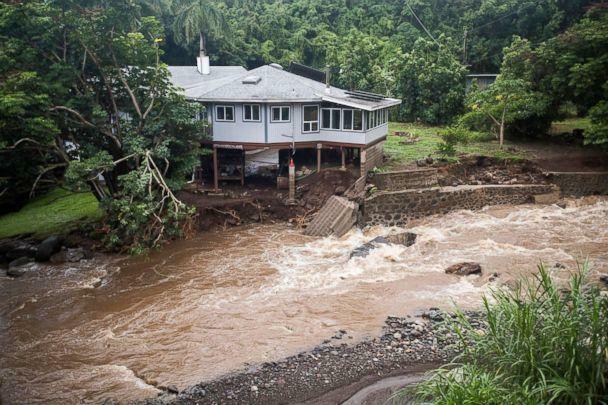 Meanwhile, on the other side of the country, tropical depression Olivia is bringing rain and flash flooding to Hawaii. 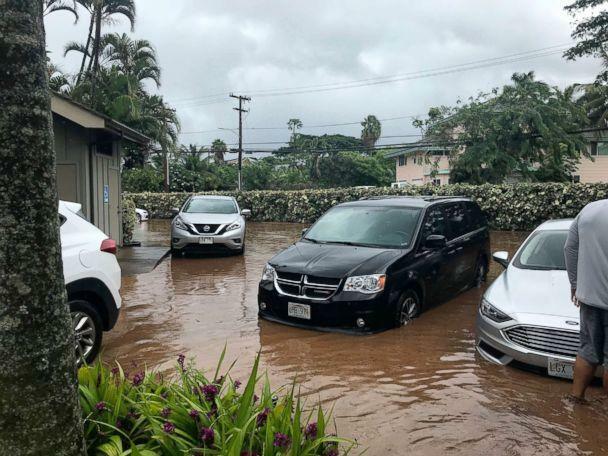 Peak rain rates of about 1 inch per hour were recorded in Puna and South Hilo. Avoid streams, drainage ditches, & low lying flood prone areas. Rainfall & runoff may cause hazardous driving conditions due to ponding, reduced visibility, & poor braking action.